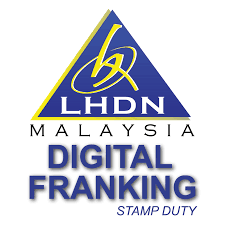 The Inland Revenue Board (“Lembaga Hasil Dalam Negara” or “LHDN”) is in the process of implementing a new stamp duty application process called the Digital Franking System 2.0 (“Sistem Frangki Digital 2.0” or “New System”), which is a misnomer as information is digitalised but not the franking required on the stamped instrument. The New System is being implemented in phases and was formally launched on 29th July 2018 and currently involves all LHDN stamp offices in the Klang Valley. All remaining LHDN stamp offices in the country will come under the New System in the final phase of its launch which begins by 30th August 2018. The New System is a migration from the previous manual process of filling out and submitting a physical PDS1 Form at the stamp office to an online system by which the information is keyed in directly into LHDN’s online system. Under the previous system, the PDS1 form was a hardcopy application which the submitting party would have to complete manually with particulars of all the documents intended to be stamped and the calculation of the stamp duty to be incurred. The PDS1 form together with the documents to be stamped would then be submitted to the stamp office which would verify both the nature of the documents as described in the PDS1 form and the calculation of the stamp duty contained in the PDS1 form. Under the New System, the submitting party is required to provide all these particulars online, and the system will then generate a Quick Response Code or QR Code. The printed QR Code will be presented with the documents to be stamped at the stamp office. Payment of stamp duty will still have to be made at the stamp office and the documents will still have to be franked. In essence, the New System facilitates the work of the stamp office by putting the burden of digitalising stamping particulars on the public and reduces the work of the stamp office of recording information provided in the PDS1 form. In fact, it is likely that the processes required to generate the QR Code under the New System will be more time-consuming involving keying information on each document and information on the parties, generating a docket and finally, generating the QR Code. No longer constrained by the dimensions of a physical PDS1 Form, the New System also now requires significantly more information to be keyed in for each transaction. By comparison, in England, most land and property transactions are reported to HM Revenue & Customs (HMRC) on a stamp duty land tax (SDLT) return. A SDLT return can be submitted online via HMRC Stamp Taxes Online service (which is free) or using other commercial software. Once a return is submitted, a confirmation of the SDLT submission will be received by email with a Unique Transaction Reference Number (UTRN). Payment of SDLT must also be made within 30 days of the date of the relevant instrument however the instrument is not required to be presented for further franking or endorsement. Provided that the instrument is presented for registration at the Land Registry with the UTRN it will be accepted for registration assuming it is in a registrable form and meets all other requirements. Proof of payment is not required for registration but if payment of SDLT is late, a penalty will be imposed by HMRC. SDLT can be paid by Faster Payments, CHAPS or Bacs to HMRC’s account, or by cheque, quoting the UTRN.